With the recent addition of Curtis McKenzie and Brett Ritchie from Dallas and Devin Shore from college, the Stars have too many forwards. They remedied that situation this morning by sending Taylor Peters to the Idaho Steelheads of the ECHL. Peters has played just twice for Texas in the past two and a half weeks. It's Peters' second trip to Boise this season. He already has six games under his belt there. The center is playoff eligible in the ECHL and is likely to stick around with the Steelheads to make a playoff push. Already with a playoff berth in hand, Idaho is one point away from clinching the Pacific Division with three games to go. Peters practiced this morning in Boise and is expected to play tonight against Colorado. 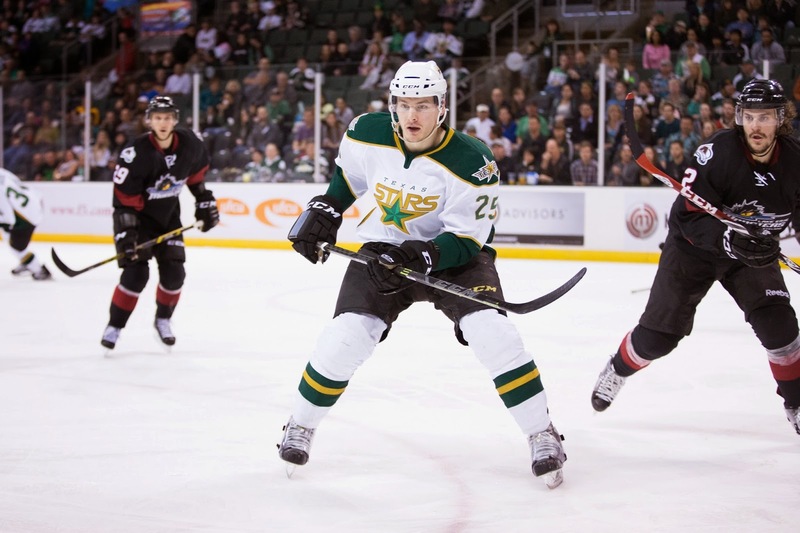 The Texas Stars, American Hockey League affiliate of the NHL's Dallas Stars, announced today forward Taylor Peters has been reassigned to the organization's ECHL affiliate, the Idaho Steelheads. Peters, 23, has three points this season with Texas, all assists, in 39 games played. The 6-foot-2, 215-pound native of Burnaby, British Columbia is skating in his second stint with the Steelheads this year. He has four points (1-3=4) and a plus-4 rating in six games this season with Idaho. Peters was a product of the Western Hockey League's Portland Winterhawks before starting his pro career.